SuchSecurity ransomware uses sophisticated techniques to infiltrate computers and hide from its victims. Use Reimage to determine whether your system is infected and prevent the loss of your files. How dangerous is SuchSecurity ransomware virus? How does the virus spread and how can I avoid it? How to remove SuchSecurity virus from the computer? When SuchSecurity ransomware finishes data encryption procedure, all targeted files are distorted with the .locked file extension. What is more, the virus leaves a new file on the affected computer called ransom.jpg. Nevertheless, the name of the file suggests that it is supposed to be a ransom note; it’s not. 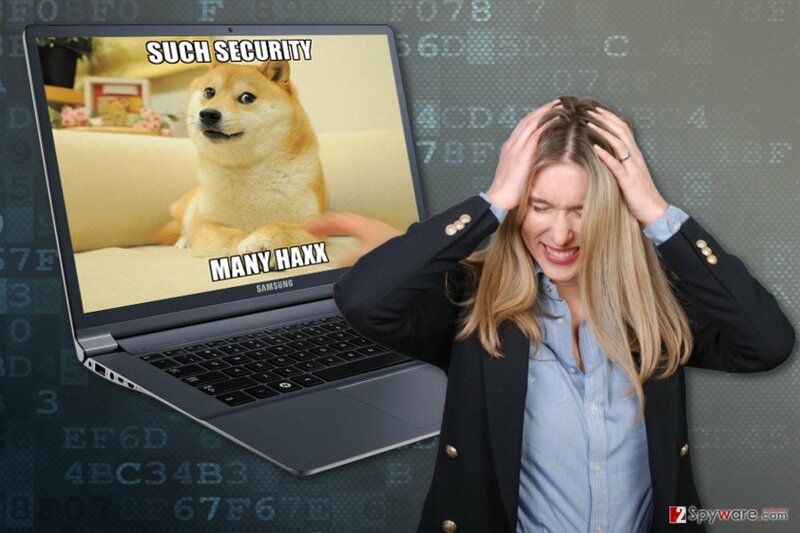 This file is a new desktop’s picture that has a popular meme on it, saying “Such Security Many Haxx.” Seeing this ironic wallpaper might be an unpleasant surprise; though, you should not think about anything else but SuchSecurity removal. Mostly developers of the ransomware leave victims at least an expensive opportunity to restore their files – to pay the ransom. However, people are not suggested this chance this time. For some reason, hackers did not provide any instructions how to decrypt locked files. Maybe, it’s just a test version of the virus that explores chances to launch successful attacks. However, you should not wait for the ransom note appearing on your computer. 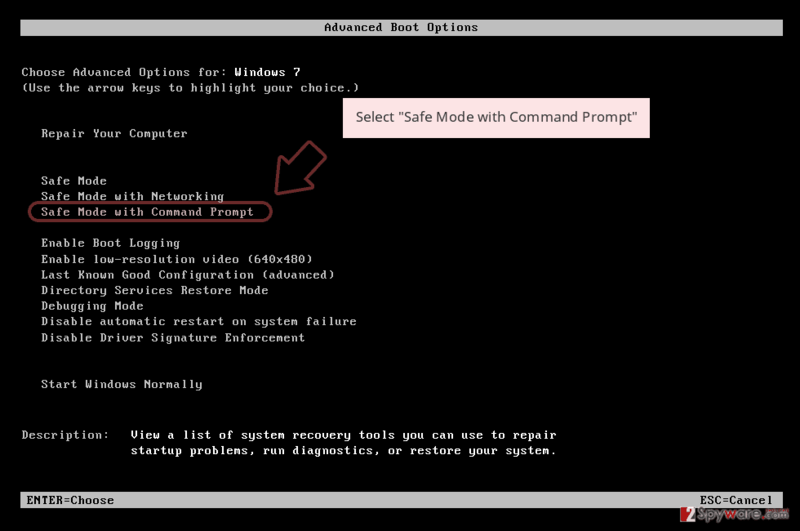 Remove SuchSecurity from the computer with a help of Reimage. More details on virus removal, you will find at the end of the article. SuchSecurity ransomware virus replaces affected computer's desktop with an ironic picture. The specific distribution methods how SuchSecurity ransomware virus spreads are still unknown. Malware researchers assume that the virus might be distributed via malicious email attachments. It’s the most popular, and unfortunately, successful method, to infiltrate computers. Thus, in order to avoid ransomware, you should be aware of the phishing and learn how to identify dangerous emails. Look at the emails critically, and always check the details about the sender, double-check the information about the provided issue with the institution directly, and do not rush clicking on the attachments. Cyber criminals became significant in these scams and learned to create polished and legitimate-looking emails. The SuchSecurity virus might also infect the computer when downloading fake software or its updates. Though, it’s important to choose reliable sources and avoid Torrents or file-sharing websites. At the moment, the virus is noticed attacking servers, and for these attacks, it seems to be using compromised remote network connections. Hence, system administrators should also take proper attention to the cyber security and prepare for the possible attacks. In the case of the ransomware attack, data backups are crucial. Make sure you have them! Ransomware elimination must be performed with professional malware removal tools. We highly recommend for SuchSecurity removal using Reimage, Plumbytes Anti-MalwareMalwarebytes Malwarebytes or Malwarebytes MalwarebytesCombo Cleaner programs. These tools are capable of detecting and deleting the latest cyber threats. However, sometimes file-encrypting viruses are designed in a way to block security tools or prevent users from installing them. 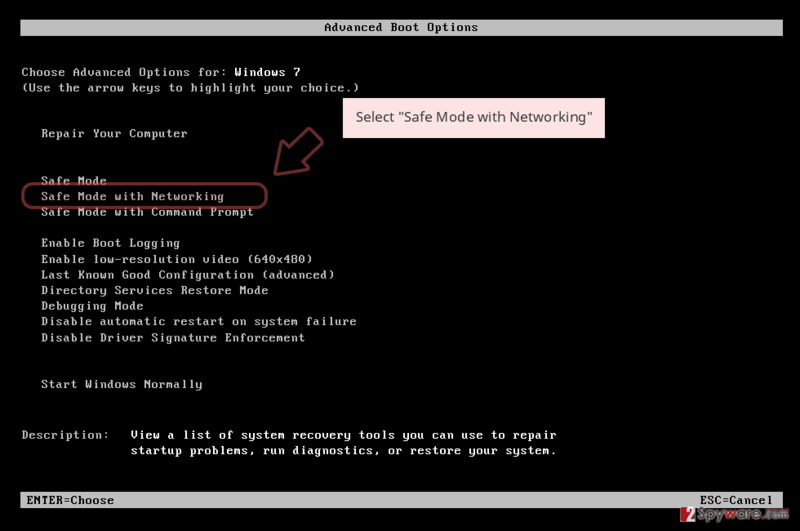 If you encounter the same issue, you have to reboot the computer to the Safe Mode with Networking to disable the virus. When in Safe Mode, you have to install your preferred malware removal program, update it and run a full system scan. We recommend scanning the system several times in order to remove SuchSecurity entirely. 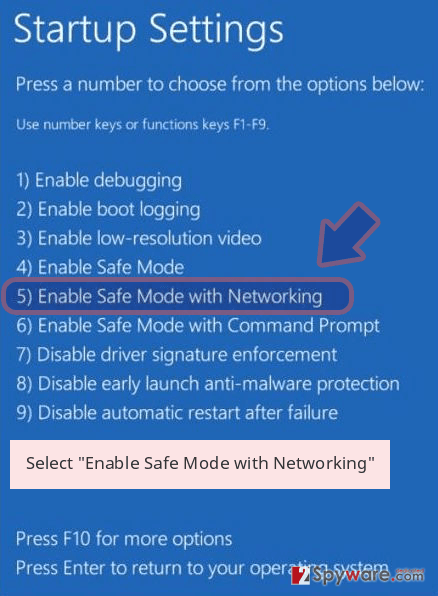 If SuchSecurity ransomware virus prevents from installing security program or blocks access to it, please follow the instructions below to reboot PC to the Safe Mode with Networking. Then, try to install and scan the computer again. Log in to your infected account and start the browser. Download Reimage or other legitimate anti-spyware program. Update it before a full system scan and remove malicious files that belong to your ransomware and complete SuchSecurity removal. 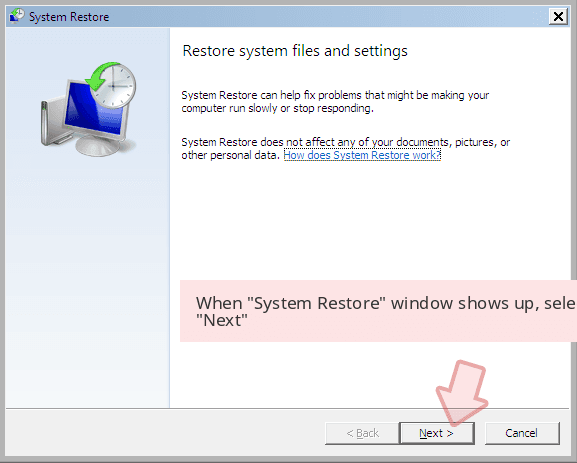 System Restore method also helps to disable the virus in order to perform automatic elimination with preferred malware removal tool. 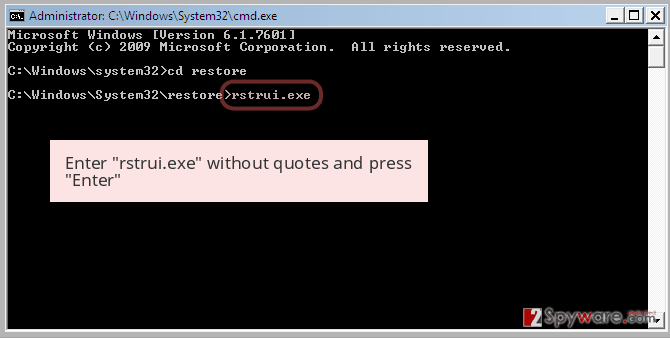 When a new window shows up, click Next and select your restore point that is prior the infiltration of SuchSecurity. After doing that, click Next. Once you restore your system to a previous date, download and scan your computer with Reimage and make sure that SuchSecurity removal is performed successfully. Guide which is presented above is supposed to help you remove SuchSecurity from your computer. To recover your encrypted files, we recommend using a detailed guide prepared by 2-spyware.com security experts. 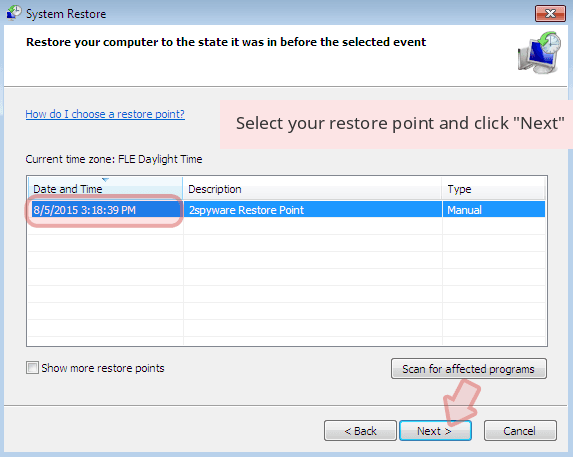 If System Restore method was active on your computer before ransomware attack, you can “travel back in time” and copy previously saved versions of the encrypted files. 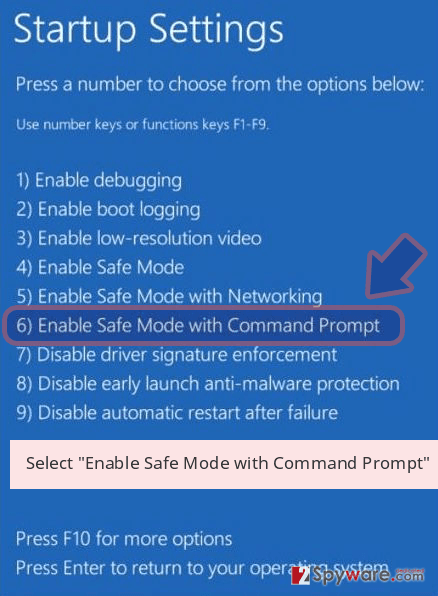 Though, if System Restore function wasn’t enabled, this method is not valid for you. We are sorry, but decryption software for SuchSecurity virus is not available yet. ^ Ransomware deployments after brute force RDP attack. Fox It International Blog. News and opinions from Fox-IT. ^ David Bisson. 6 Common Phishing Attacks and How to Protect Against Them. Tripwire. IT Compliance and Advanced Threat Protection. ^ Michael Higashi. Symmetric vs. Asymmetric Encryption – Which is Best? . CypherCloud. Enterprise Cloud Security. ^ Kaspersky Lab: 20 Per Cent Of All Spam Emails In Q4 2016 Distributed Ransomware Trojans. Information Security Buzz. Breaking news for the information security community. ^ Nate Lord. Phishing Attack Prevention: How to Identify & Avoid Phishing Scams. 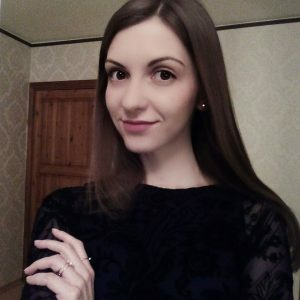 DigitalGuardian. Data Loss Prevention Software. This entry was posted on 2017-03-14 at 02:14 and is filed under Ransomware, Viruses. You can quickly scan the QR code with your mobile device and have SuchSecurity ransomware virus manual removal instructions right in your pocket. How did you remove SuchSecurity virus?